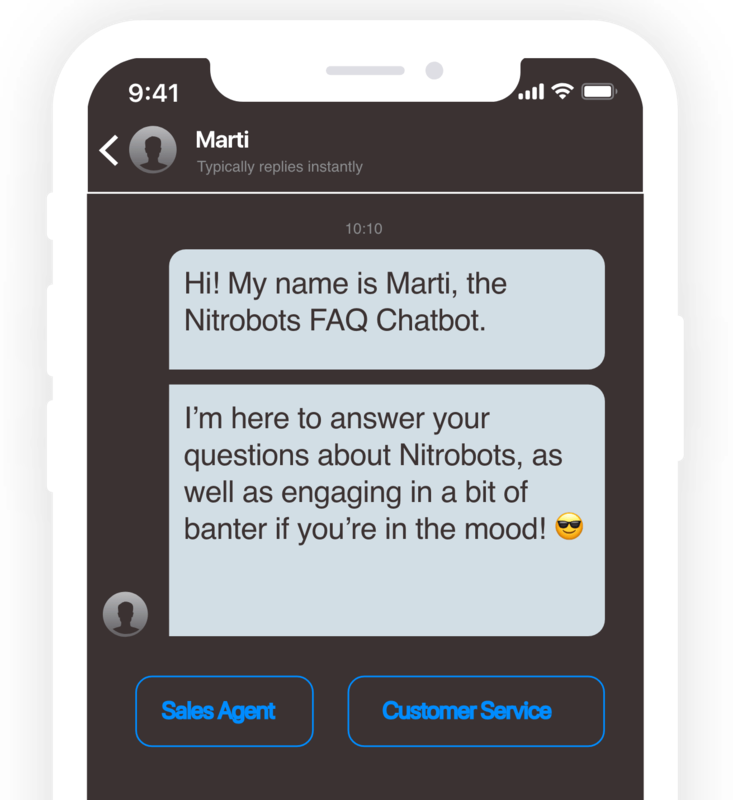 Shortly after requesting a demo, our virtual sales agent ‘Arti’ will be in contact to schedule a booking on behalf of Nitrobots.ai. By replying to the email with the correct information you'll be redirected to our proxy sales team, but reply with anything else or don't reply at all and you can witness how we use the power of conversational AI to nurture leads. NitroBots can make a difference for your business.